Enjoy the freedom of an electric wheelchair that converts to a manual wheelchair in seconds. This unique model of electric wheelchair can be converted from a power assisted wheelchair to a manual wheelchair in seconds. Particularly useful for indoor use and in tight spaces. This feature also means the wheelchair can still be used when the battery is flat. Simply raise the lever in front of each wheel to engage the electric motor. 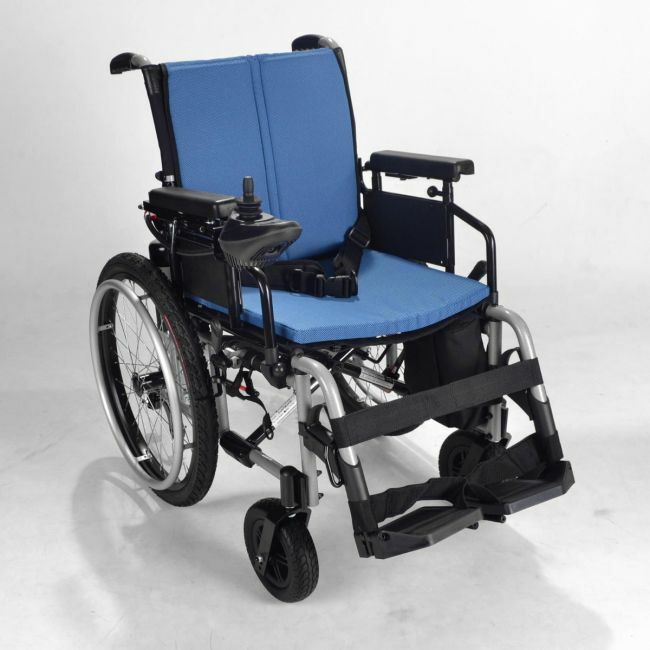 This power chair now features large pneumatic rear tyres and an upgraded scratch resistant grey powder coated frame to offer better durability and years of service.